VietNamNet Bridge – Vietnam has jumped two positions to reach 45th place on the Global Innovation Index (GII) 2018 released by the World Intellectual Property Organisation. This is the highest achievement the country has ever gained, marking a significant growth in knowledge creation, research and development. Improvements in educational investment are key for Vietnamese innovation, the report points out. 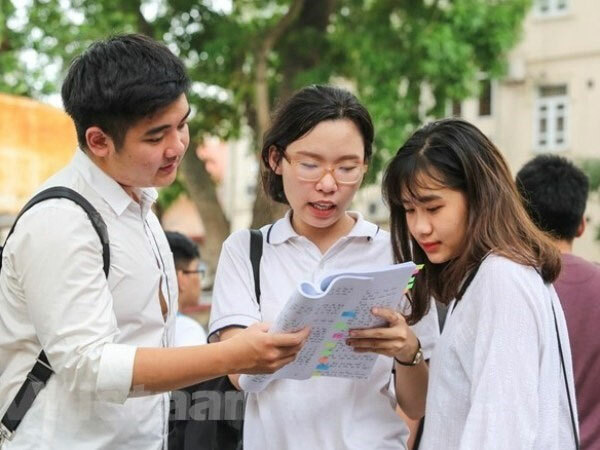 Vietnam has topped ASEAN countries in expenditure on education since 2017 by spending 5.7 per cent of its GDP for teaching and learning activities. Regarding education in the category of human capital and research, Vietnam occupies 18th place out of 126 countries. By issuing Resolution 29 on education reform in 2013, the Government demonstrated its commitment to promoting high quality human resources and research, especially in higher education. The percentage of university lecturers acquiring Ph.Ds and master’s degrees rose from 14.4 per cent to 21.8 per cent, and 47 per cent to 59.4 per cent, respectively, between 2012 and 2017. More than 50 per cent of Vietnam’s scientists work in educational institutions, contributing to the development of training and research quality. By the end of 2017, there were 945 research groups in the country’s universities. According to Professor Nguyen Dinh Duc from Viet Nam National University, Hanoi, between 2017 and June 2018, Vietnam’s top 30 universities released more than 10,500 research publications, equal to all national publications in the five years from 2011 to 2015. From 2011 to 2016, the Ministry of Education and Training invested more than VND292 billion (US$12.5 million) in 46 projects on enhancing research capacity. These projects focused on providing modern equipment for labs and research facilities, expecting to create applicable products serving the country’s socio-economic development. More than 1,400 science and technology organisations have been established under 142 surveyed universities. Top universities of technology in Hanoi, Da Nang and HCM City are also accelerating technology exchange and calling for investment from both domestic and international agencies for research activities. Viet Nam National University, Hanoi, and Viet Nam National University, HCM City, are named in the QS 1000 World University Rankings while Ha Noi University of Science and Technology is ranked among the 505 best Asian universities by QS in the period 2018-19. The 2018 GII provides detailed metrics about the innovation performance of 126 countries and economies around the world. Its 80 indicators touch upon a large field of innovation, covering factors of political environment, education, infrastructure and business sophistication. Not only analysing the energy innovation landscape of the next decade, but it also discovers breakthroughs in energy production, storage, distribution, and consumption as well as their impacts on countries’ educational improvements.